This week was exercise week at school, so the babies learned about activities they could do at home for exercise when they’re older. Monday: Today, Kasen learned about running (a topic he knows a lot about because he likes to ride in the jogging stroller while his mommy runs). 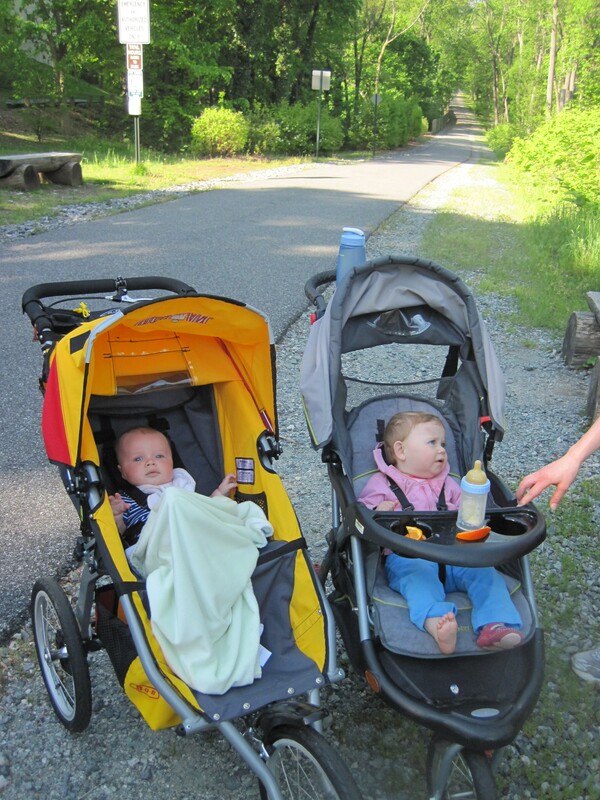 They took each baby’s legs and cycled them around as if the baby were running. Kasen especially enjoyed this! Tuesday: Kasen’s teachers taught the infants about bicycling. During art, Kasen and his classmates glued a picture of a bicycle together! His teachers report that Kasen enjoyed tummy time and riding in the 6-baby buggy with his friends. Wednesday: Kasen and his classmates learned about pulling. They tried pulling up on the side of their cribs and pulling up on a bar on the playground. They pulled play dough during art time and pulled the pages in a book during story time. Kasen’s teachers commented on how good he is getting at sitting up. Thursday: Today, Kasen learned about stretching. His teachers helped him stretch up to the sky and low to the ground. They practiced reaching for the stars while singing “Twinkle, Twinkle, Little Star.” Kasen particularly liked when his teachers sang to him. He also liked painting.